Yes Indeed! 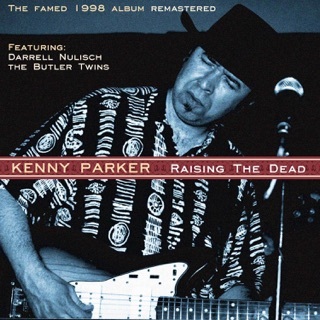 is an apt title for Kenny Parker’s long-awaited follow up to his 1996 release Raise the Dead. Parker’s fans in the U.S., Canada and Europe have good cause to cheer. The new album is likely to win a whole new set of fans for Parker, a master of understated and deliciously tasteful blues guitar. Parker spent the last seven years building his own recording studio, honing his production skills, and writing (or co-writing) and recording the 12 tracks on this album with a true “A List” of Detroit-area musicians. Each track inYes Indeed! is a fully realized work of blues composition and performance unto itself. 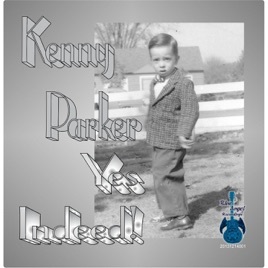 Taken together, the 12 tracks demonstrate Parker’s impressive range and versatility, giving proof that Detroit has some serious blues talent to offer the world. Parker handles all of the guitar chores on this album with both passion and restraint, a rare combination. Parker has clearly studied the recordings of Eddie Taylor, Robert Lockwood Jr., Jimmie Rogers, and Luther Tucker. Parker is steeped in classic blues, but keep listening, and one can hear echoes of Eric Clapton, Dickie Betts, and Detroit’s reigning rock guitar legend, Jim McCarty. 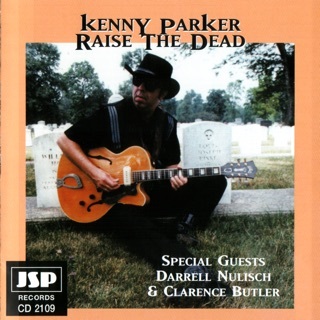 Still, Parker has his own unique guitar style, one that makes blues fans break out in smiles, and sit up and listen intently at his live shows. Yes Indeed! features Garfield Angove, lead vocals and harp, Bob Conner, acoustic bass, Mike Marshall, electric bass, Tim Brockett, keyboards, Larry Lamb, saxophones, Andy Wickstrom, trumpet, Chris Codish, keyboards, and Renell Gonzalves, drums. Garfield first gained national attention in the early 1970’s as the lead vocalist and harp player in a touring review featuring Sam Lay, Lucille Spann, Louis Myers, and Wild Child Butler. He is the recipient of a Lifetime Achievement Award from the Detroit Blues Society. He is considered the dean of Detroit-based blues frontmen, leading bands like renowned jump blues and swing band The Millionaires, the Detroit Blues Band, the Garfield Blues Band, and his latest ensemble (with Parker), the Garfield A.R.M. Band (American Roots Music). Yes Indeed! contains some great examples of Garfield’s sweet and soulful vocals, his impeccable phrasing, and his spare but potent old school harp solos and fills. Hopefully Parker and Garfield will tour on the strength of this recording so that fans can experience the two veterans playing these songs in a live show setting. The title track “Yes Indeed!” kicks off the album in high gear. It is probably the single from this recording that you will hear on blues radio shows. It is an excellent take on Greg Piccolo’s composition. Andy Wickstrom and the late Larry Lamb double up on horns, and Wickstrom’s arrangement really swings. Wickstrom has held the trumpet chair in the Millionaires for years. One good reason to buy this recording is that it contains some of the the last recordings by Lamb, a sax player without peer in the Detroit blues scene. The covers selected by Parker for this album say a lot about the man. “Cuban Getaway” is a swinging mambo instrumental first recorded by Ike Turner & His Orchestra in 1955. In the original recording, Turner’s guitar was so drenched in tremolo that this is all that anyone recalls. Sue Foley recorded this tune several years ago, but her version lost its way too. In contrast, Parker may be the first to really do this tune justice. Yes, he uses tremolo, but he is in total control. “Cuban Getaway” also features Tim Brockett in a great, one-take piano solo. A guitarist should not touch Clarence Gatemouth Brown’s signature tune, “Okie Dokie Stomp,” unless he can really play it. Well, Parker can really play it. His guitar work is precise, swinging, and reminiscent of both Brown and Hollywood Fats. Parker turns to his wing man, Garfield, in “Can’t Hold Out,” a slow blues penned by Little Walter that appeared on his debut album for Chess. Unlike others who rely upon boasting to attract women, Little Walter uses his vulnerability. Here he begs his woman for understanding. Garfield’s harp and vocals do honor to both Little Walter and the theme of the song. Finally, the closing track on the album is a beautifully played slide guitar and piano rendition of the Rodgers and Hammerstein classic “You’ll Never Walk Alone,” done in memory of a young woman who died suddenly and tragically later the same day that a teenage Parker first realized that he was in love with her.